Nature Lovers will be Enchanted! 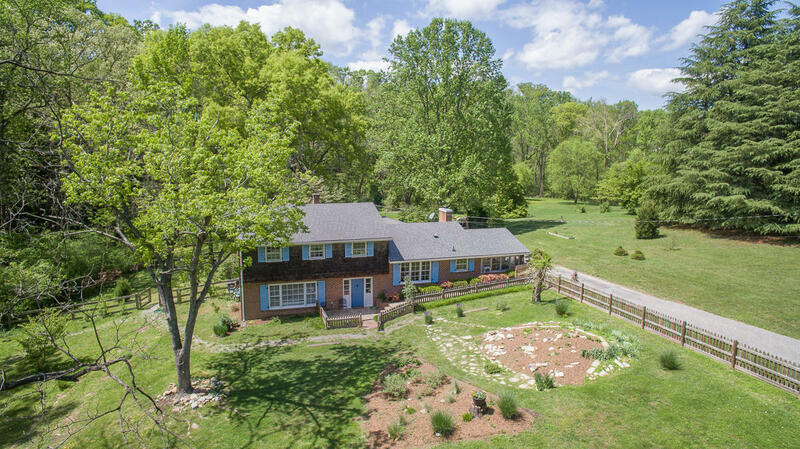 Sitting sweetly at the end of a private road,surrounded by wildlife & bordered by Carvins Creek,this property is only mins. from all the conveniences of town.The spacious, classic & well-cared for home features lg living & entertaining spaces,lg windows to bring the outdoors in,deep closets,built-ins & storage nooks,laundry chute,hardwds in br's, enclosed sunporch, garden space & shed.Current owners have replaced the Deck, fenced the yd & added front walk/patio,added lg tile & slate flooring, stoned the fireplace & added woodstove,replaced doors & picture window,removed oil tank & replaced boiler heat system, replaced upper level heat pump, Refrigerator, Dishwasher & range hood avg 5yrs old, paid for 1/4 of paved road, painted interior & more.